Innotech's System Trainer, Walter Colaiaco, recently attended the Granville TAFE SWSi awards night for 2014 held in Campbelltown Sydney NSW. The Institute Achievement Awards is SWSi’s premier event of the year and acknowledges the outstanding achievements of both students and staff. It showcases the highest standards of teaching and learning through staff and student success stories, and promotes the strong relationships the Institute has with industry partners. 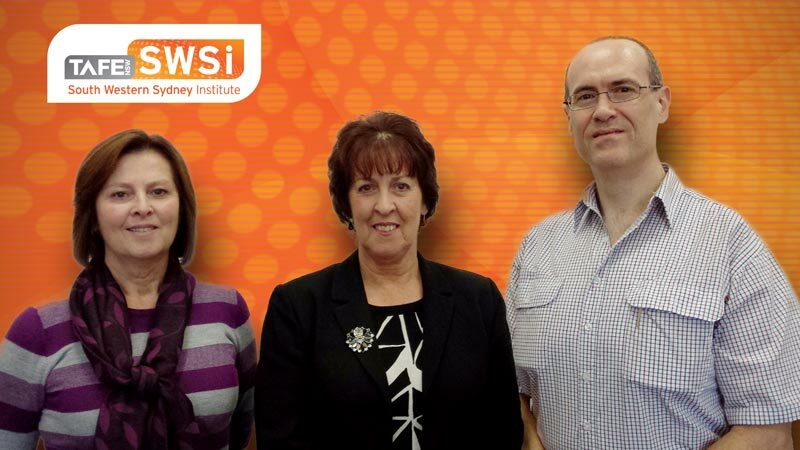 From left to right: Linden Fuller, Sylvia Arthur – Directors of Faculty, Walter Colaiaco – Innotech Systems Trainer. Over 300 guests including graduates, their families and representatives from industry, government and community organisations across the region joined in the celebrations. It was a great pleasure to have been invited to attend the SWSi awards night. To see the many awards given out and hearing from the students themselves at what they had achieved and feel their emotions provided a sense of fulfilment and highlights that the training they participate in at well established and caring institutes is a vital component for people from all walks of life to improve and reinforce their knowledge levels and careers. SWSi certainly hosted and delivered a successful event at an excellent location for the night which everyone I had a chance to talk to had a great time. The night also provided an excellent opportunity to meet new people and Industry professionals that are involved to help the various areas of business and industry improve the skill levels of so many, Innotech is also proud to be part of this vision and passion. The future of training and the development is in the hands of many different people, if we all seek the same goals, anything is possible and these types of events can continue to provide our future generation a worthwhile goal for success.